Have you ever thought you understood something only to later realize that you were wrong? I’m sure I’m not the only person. Some time ago I realized the point of financial independence. However, the definition of financial independence is what I had all wrong. And for that reason, I want to share the correct definition of financial independence as well as the point of it with you. In June of 2018, my second child was born. I had just started a new job a few months prior. The benefits were great, the pay was enough to the point where we had a surplus of funds per month even if Kim didn’t work at all. The only problem is that since I had just started the job I didn’t feel comfortable taking the paid FMLA so soon after starting. Honestly, who wants to start a new job then say “Hey, thanks for paying me all this money to join your company. Now I’m going to take 12 weeks off”. That would not be a good look. And by law, they wouldn’t be required to hold my position. A big part of the reason I wasn’t comfortable taking FMLA is that we need my paycheck. I can’t tell you how much this eats at me. And don’t get me wrong, I enjoy what I do and the company I do it for. However, if I had a million in investments, which would produce enough to cover our household expenses, would I be more comfortable taking the company paid FMLA? Possibly. Something I often think about is: would I have told them that I could start a few months after the birth of my son so I could be with Kim and get to know my new child? I would have done that in a heartbeat! Even though we’re on the right track financially I realized something at this moment – as much control as we have over our finances, our decisions are still not completely our own because we need a paycheck. I realized the importance of financial independence. I enjoy reading about personal finance. Not necessarily from the finance experts, but from normal people who have done unbelievable things like retire in their 30s, 40s, or even early 50s. 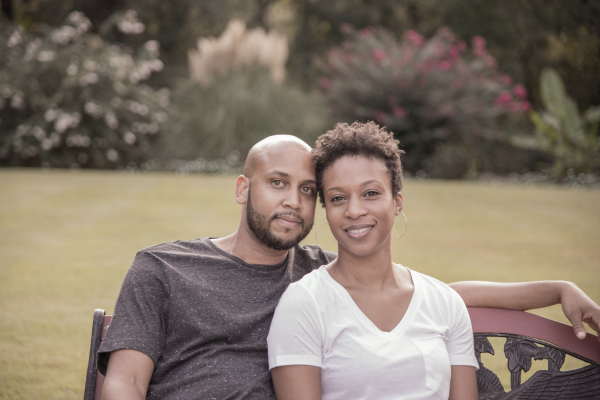 These folks are part of the FIRE (Financial Independence, Retire Early) Community. I don’t necessarily need the ‘RE’ but the ‘FI‘ is a must. 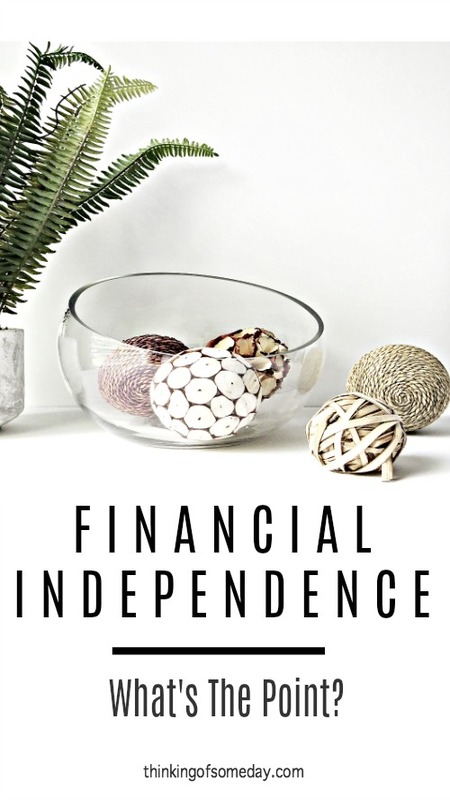 Financial independence means you have enough income from investments to pay your living expenses for the rest of your life without having to work full-time. It means that you can buy your financial freedom. Before finding this community I always thought some obscene amount of money was needed to get to financial independence based on your income. I’m talking about $3 million plus. I would start to get overwhelmed thinking about how in the world are we going to save this much money for the future and enjoy life now? I had no idea how to actually determine how much money I needed for FI or to retire. Then I ran into this post. It turns out the amount of money you need isn’t determined by your income at all. It’s determined by your expenses. Think about that for a minute. How much money it takes for you to reach financial independence is solely determined by how much YOU spend. Above I gave you the information that you need to use to calculate your FI number. This is our goal. It’s a huge scary goal. But, when you get to this number you have the choice to continue working for a paycheck…. or not. Don’t let your lifestyle ruin your chance for financial independence. Save some money so you can make the most important purchase of all: your freedom. I love this!!! This email came at the perfect time! I was able to read it out loud to my 10 year old! She’s listening and any part that I can instill in her now will be beneficial. Thank you all for the continued posts. Just as I’m about to cut loose with my excess of funds, I consider financial freedom. I would like to retire early (50s part time). I think that this is achievable because I do not have costly monthly expenses or cost of living. You can definitely retire/go part time in your 50s. You may just have to make some sacrifices now to get there. I wish I would have learned this stuff at age 10 too! Lol! This is great advice as always y’all ! Definitely agree Omar!! Reaching FI is determined on your spending habits and figuring out how much of a cushion you need for those expenses. Like you said, we don’t need millions of dollars to reach FI, some may not even need a million dollars to get to that FI goal. We all have different numbers depending on how we spend, where we live, and other factors that impact our spending. Exactly Kris! That was so eye opening to me. It made the goal of FI even more attainable in my eyes. Wow…..I remember completing a form to determine how much I need to save for my retirement. All the questions were about how much I spend how…. Even answering the questions I still had no idea what they wanted me to see. Reading this it now make sense…Thanks for sharing these great lessons. Like you, I also previously had the idea that you needed to reach an “obscene amount of money” before you could actually be financially independent. In any case, stumbling into the community was such a big game-changer for me—and it sounds like it’s been for you and Kim as well! It’s absolutely been a big game-changer for us. The idea that at some point working will be a choice is exciting. I am subscribed to Financial Mechanic and will check Financial Panther out too!